Pityriasis versicolor. 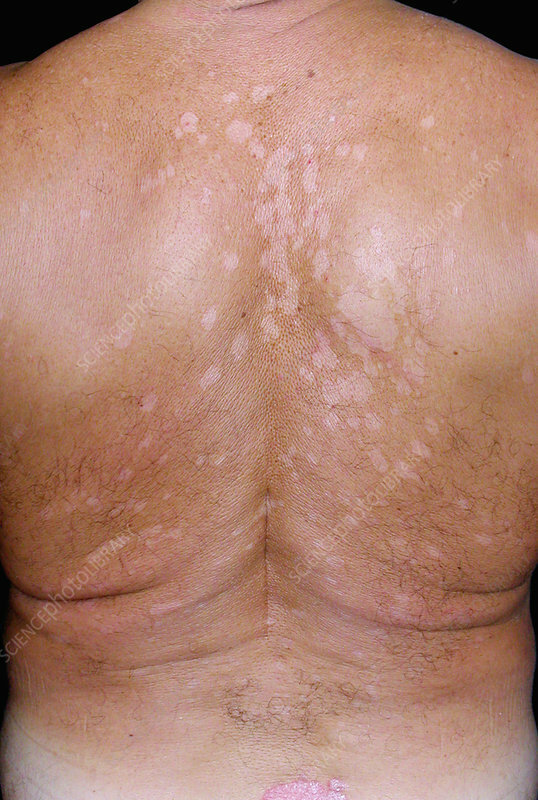 Close-up of patches on the skin of a 72-year-old male patient with pityriasis versicolor. Also known as tinea versicolor, this fungal skin infection is caused by the yeast Malassezia furfur, which is normally found on the skin without causing any problems. However, in warm humid environments it may proliferate and cause an infection. It most commonly affects the back, upper arms, chest and neck, causing light patches and occasionally scaly skin and itching.